It's been a while I created a blend of spices and I was completely conquered by the recipe Potatoes with Indian Five Spice, where I learned about Panch Phoron, a bengali spices mixture, whose name means five flavours. I like how it looks, with the yellow fenugreek, the black nigella and the dark brown mustard. 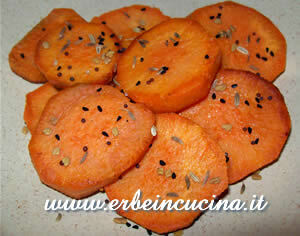 I hade some beutiful orange yams, and I tought to use them for this recipe. Peel the yams and cut into slices or sticks. Fry in hot oil until golden brown. 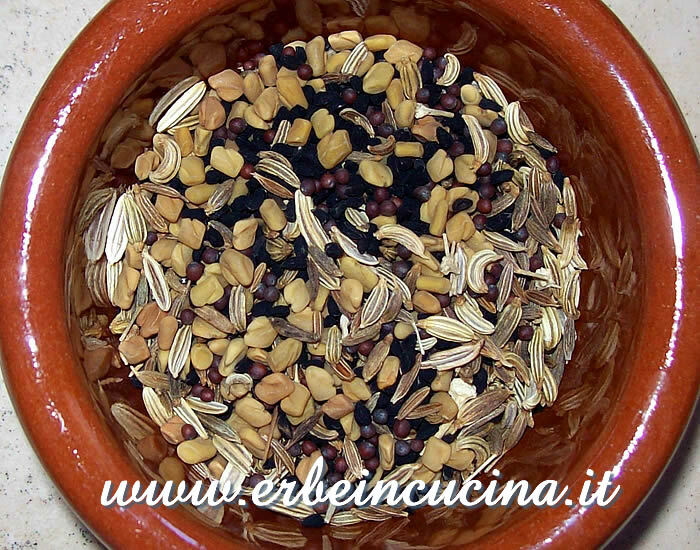 Sprinkle with salt and Panch Phoron (five Indian spices). Suggested ingredients: nigella, cumin, fenugreek, fennel, black mustard.